The second I spotted this Polynesian-esque Isabel Marant shirt, I knew I had to sport it while on vacation in Jamaica. 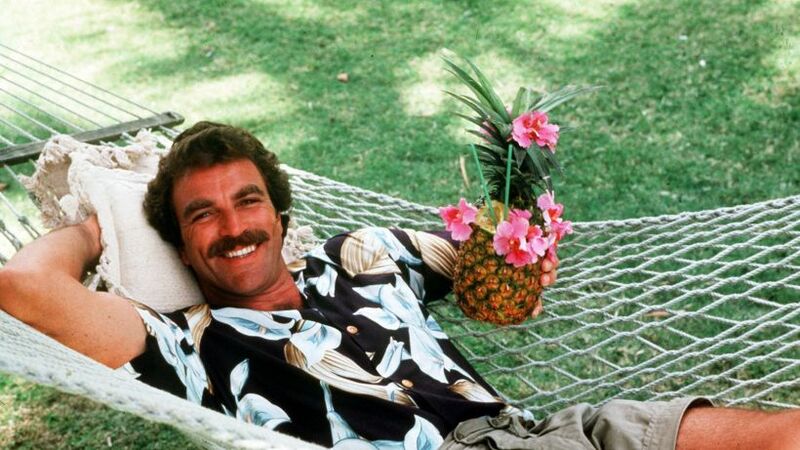 After all, nothing says "Do not disturb, I'm relaxing" like a printed tropical shirt. Bonus points for a straw fedora of some kind. Right, Mr. Selleck? 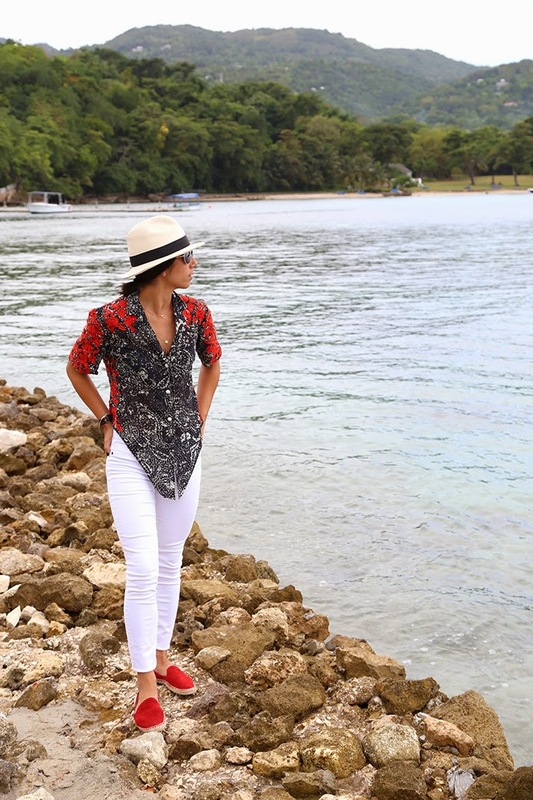 Lots more photos from Jamaica, including the next installment of my Real Style, Real Travel series with The RealReal, to come later this week and next -- so stay tuned! In the meantime, keep those Turkey trip recs coming! We're loving all your suggestions so far! Super beautiful blouse! You look great! What a cute look to explore Jamaica in! I love those shoes, they look so comfy! Love the red shoes with this look! I hope you enjoyed your trip to Jamaica!!! I live in Kingston... I enjoy visiting your blog! Fabulous shirt!! Love the colors. Yay, can't wait to hear about all your adventures in Jamaica! So beautiful! Love your outfit! this outfit!!! ahhh so obsessed. that shirt with white jeans is close to perfections! !